Greenland is a destination that few in this world have the privilege to visit. It's a faraway land that is scarcely travelled and little is known of the people who live there. Greenland is the world's largest island but its population is less than 60,000 people. 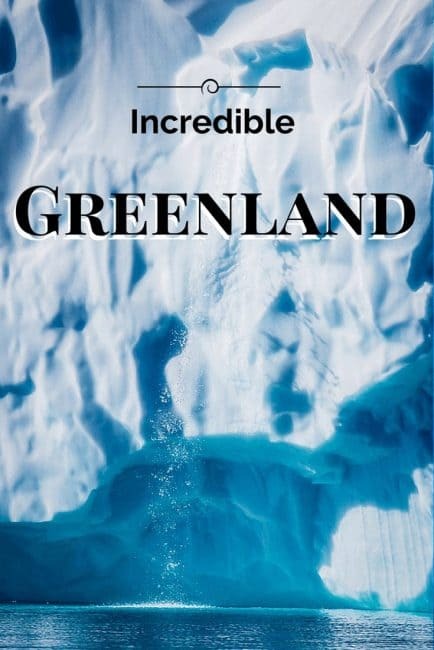 With 80% of the country covered in ice, Greenland is second only to Antarctica for the sheer amount of ice in the world. 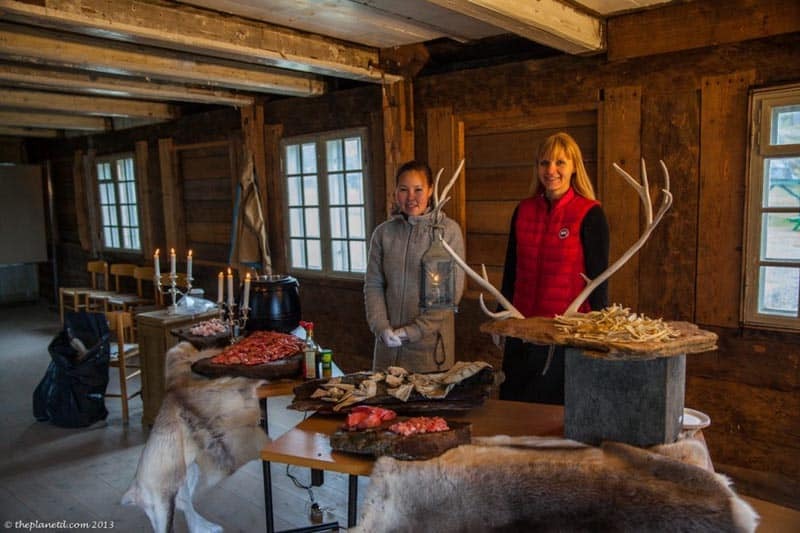 As polar travel opens up, people are beginning to understand the beauty and magic of Greenland and have realized that this fascinating country is one of the world's best kept secrets. We had the pleasure of travelling to Greenland with Quark Expeditions in 2013 and right now they are offering an amazing deal for you to see the polar regions for yourself. It's never been a better time to explore the Arctic and we're going to show you why! If you've never thought of travel to Greenland, think again! There are amazing things to do in the country that I bet you never even knew were possible. Here's a list of the best things to see and do in Incredible Greenland! We've been lucky enough to visit both Antarctica and The Arctic. We can honestly say that the icebergs and fjords of Greenland took our breath away even more than Antarctica. And that is saying a lot. 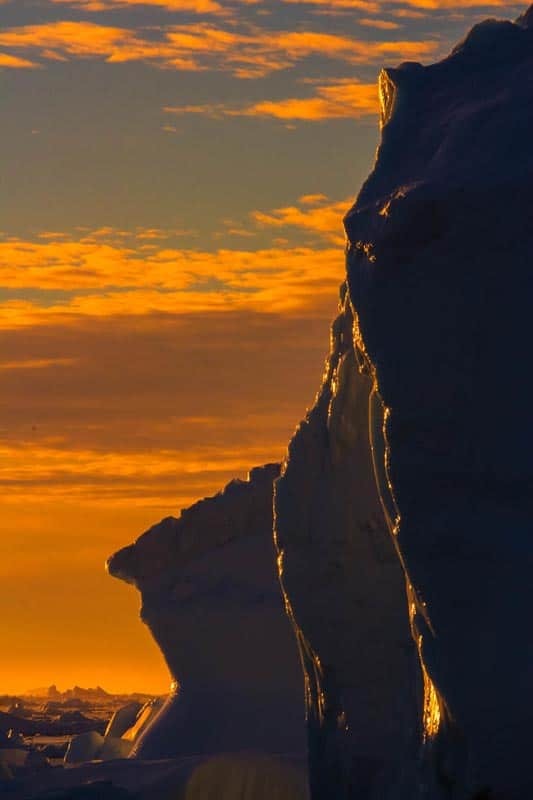 Maybe it is because the polar ice caps of the North are melting so fast, but the icebergs of Greenland were massive and filled with layers of colour. Each morning we ran out on deck of our ship The Sea Spirit to watch the sunrise over the fields of ice surrounding us. Many people travel to Greenland's neighbours Iceland and Canada to witness the Northern Lights, but as residents of Canada and people that have travelled to Iceland, we can attest that the best chance of seeing them is indeed in Greenland. We spent 12 days in Iceland searching for the Aurora Borealis and didn't see them once. Yet, each night we went outside in Greenland, they put on a dazzling display of dancing light in the sky. Greenland has clear skies and it's far enough north that the odds are good you'll witness bucket list experience. Something that we absolutely loved about Greenland was the opportunity to meet and interact with the local people. The Inuit people come from an ancient culture and many live as they have for centuries. There are small villages located on the coast with as little as 50 inhabitants. They still travel by dogsled and live on a diet of whale and seal. They are a hearty people that live through extreme weather conditions but they are welcoming, friendly, and filled with life. Read: Would you Eat Whale? Greenland isn't all ice and tundra, there are actually hot springs on the island that you can sit back and relax those aching bones. When traveling with Quark, our captain and expedition team knew exactly where to find them and best of all, they served us champagne bubbly as we sat in bubbles of our own. Greenland is home to the northern hemisphere's most active calving glacier. 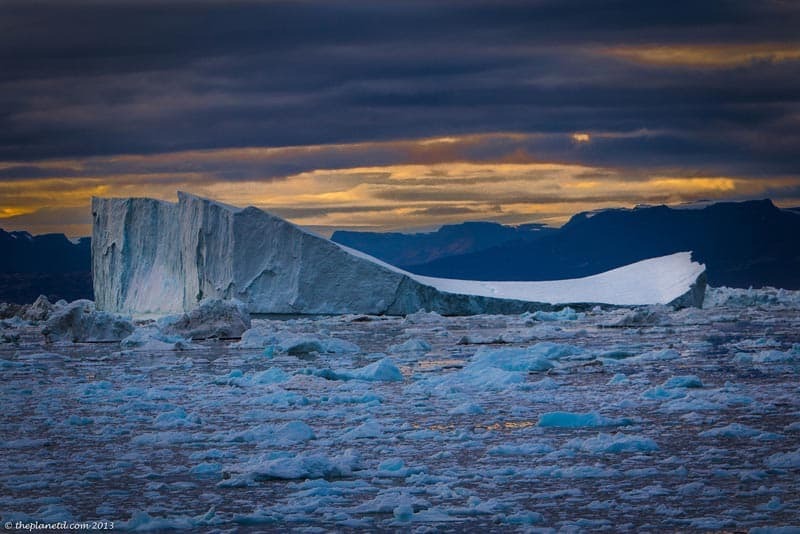 Jakobshavn Glacier is located near the village of Ilullisat and it produces 10% of Greenland's icebergs. A whopping 35 billion tons of ice break off from Jakobshavn each year and you can hike out to witness the movement of the massive ice chunks breaking off. Be sure to stay a safe distance from the shore and follow the paths as if ice does fall, it can create swells inland sweeping you off your feet and into the frigid Arctic waters. Greenland is more about ice and culture than wildlife, but you will see whales and seals swimming in the sea. 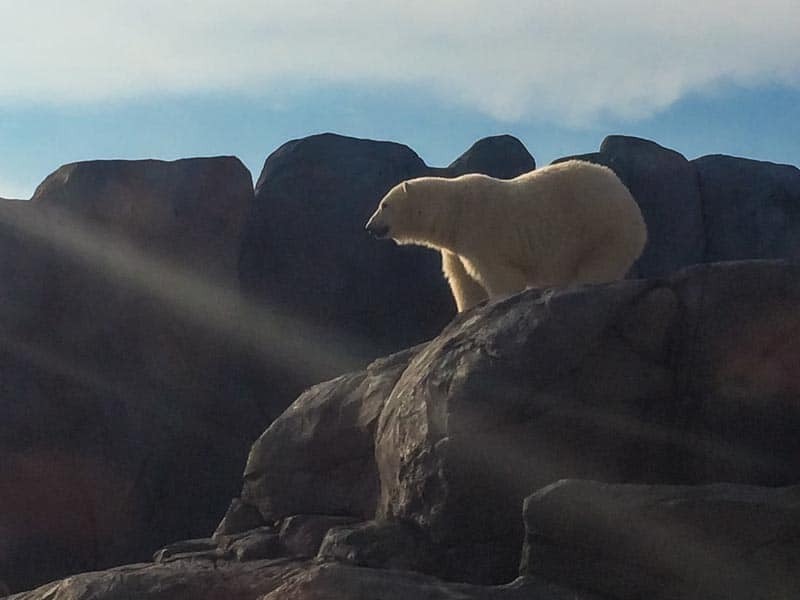 Certain expeditions also take you into polar bear country. There are opportunities to see musk oxen, caribou, arctic foxes, hares, eagles but be sure to check with your tour provider on sailings that have a higher chance of spotting them. We knew when traveling the West of Greenland at the time of year we went that we would not see polar bears or caribou. It's worth doing your research so that you are not disappointed. 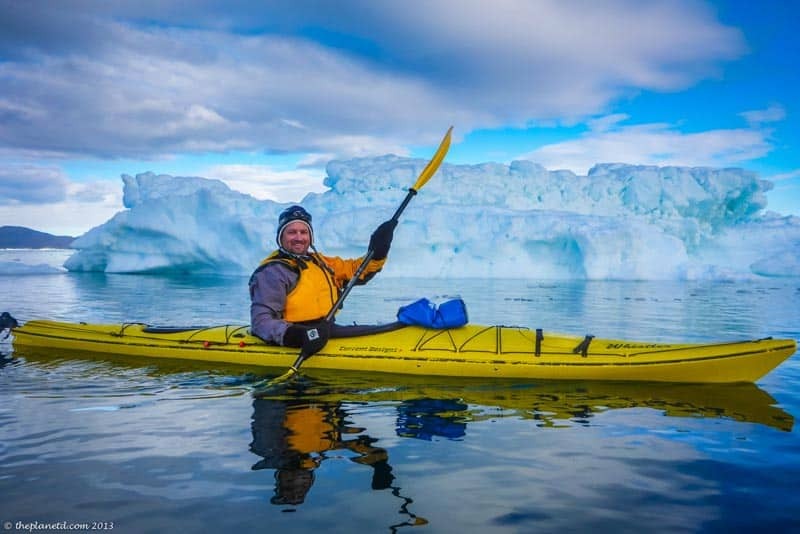 Kayaking was invented by the Inuit people and it is alive and well in Greenland. There is no better way to explore the coast in a kayak. The silence and intimacy of the landscape are a peaceful way of digging deeper into fjords and seeing ice and coast up close. Quark offers guided kayaking on their voyages that must be booked in advance, but we highly recommend it. I couldn't imagine not kayaking through the sounds of ice crackling alongside each paddle stroke. 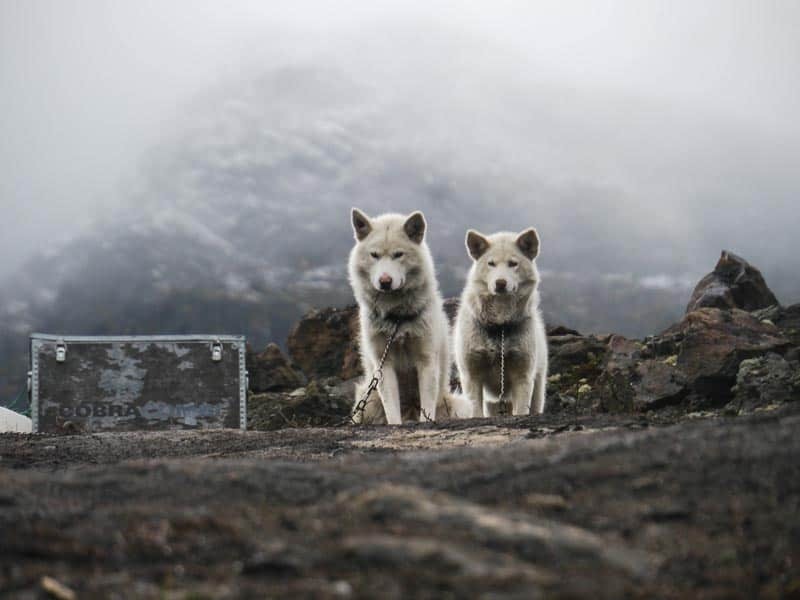 You'll see a lot of sled dogs in Greenland. Most of them are located outside of town in dog central. 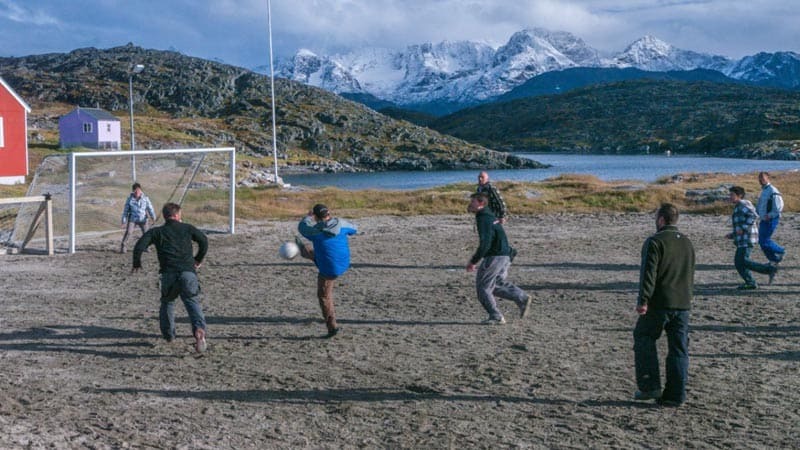 Greenland does not have any connecting roads between towns and villages and the only way to get around is by land or sea. However, locals still travel and hunt using their sled dogs. It can be difficult to see so many dogs chained to poles during the offseason, but these dogs are work dogs and are a necessity for everyday life. It's worth walking through the villages with a local guide to learn about the way of life. Even though Greenland has a sparse population, there are some surprising towns that have a worldly feel. The capital city of Nuuk has dining, universities, hotels and a multicultural society. Greenland is governed by Denmark and you will find many Danish nationals living in Nuuk. It's an excellent place to grab a coffee, check out the history of Greenland and maybe take a day or two to enjoy wifi and a little pampering. There are many opportunities to hike in Greenland with trails around towns and villages. 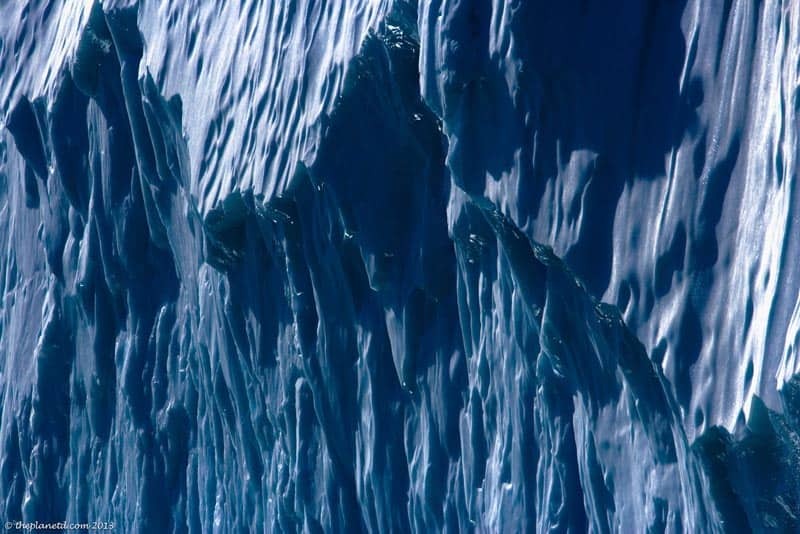 Quark offers the opportunity to hike near glaciers during shore landings, but you want to make sure you follow your guide as hiking over glaciers can be very dangerous. If you are crazy like us, you may want to jump into the waters above the Arctic Circle. I mean, you're probably only ever going to be here once right? On the Sea Spirit, we jumped right off the back of the ship into the middle of the Arctic Ocean. Now that's an adventure of a lifetime. 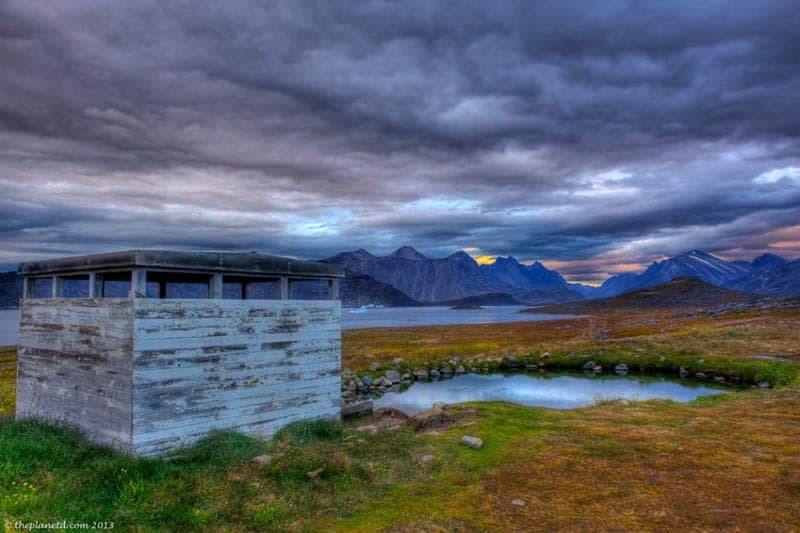 So if you have ever dreamed of taking a vacation to a destination very few have seen Greenland is the place for you. It's a spectacular destination with magnificent mountains, giant glaciers and massive fjords. It's an adventure you'll never forget and as Dave and I say, it's a destination for a true traveller. 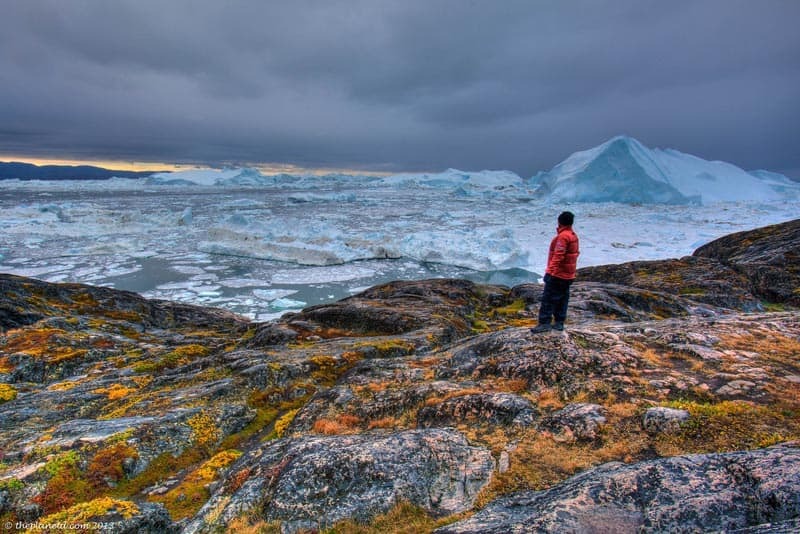 18 Responses to "Incredible Greenland – The Final Frontier for Adventure Travel"
One of the mind-boggling adventures that you will get to experience there is seeing the Northern Lights. Greenland is one of the best countries to visit and I can assume that it on everyone’s travel bucket list. Greenland looks so magical! I wish flights there were cheaper, I’d be there in a heartbeat. You could always look to flying to Iceland first and seeing what the prices are from there? I never considered Greenland until I read your blog. What a great idea! The only thing that I knew about Greenland that I wanted to do was see the Northern Lights. After reading this blog, I now discovered a lot of great things to do and see there. It certainly would be a great experience. I might skip the polar plunge, though. Maybe I would watch others do that, but not for me. I tip my hat to you for trying it. As travelers, we don’t often think about places like Greenland, Antarctica and other “Snowy/Icy” countries like theses. Hiking and Kayaking in Greenland looks fantastic ! Sounds amazing guys! Barry and I went to Antarctica with Quark in 2013 and totally loved it, so would really love to do this incredible Greenland trip too! You know that it’s like when you get a taste for the wildlife and totally unique scenery! Which trip and how long did you go for? Eek! Polar plunge! Great to know about the Aurora Borealis. I’m a Canadian and I’ve still never seen them, then again I live pretty close to the U.S. border. Thanks for sharing. Greenland is one of the best countries to visit and I can assume that it on everyone’s travel bucket list. 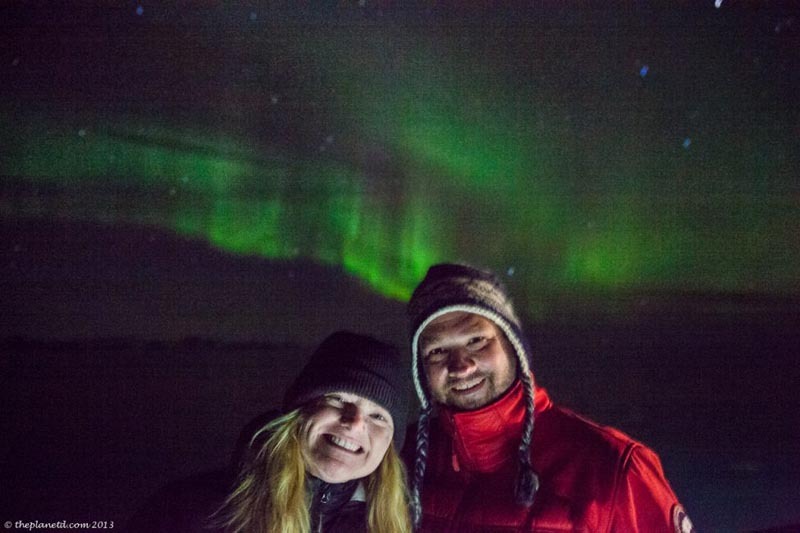 One of the mind-boggling adventures that you will get to experience there is seeing the Northern Lights. Have you guys seen The Secret Life of Walter Mitty? We watched the film while traveling in Asia, and it made me want to immediately get on the plane for Greenland. Someday! I think I have to give Walter Mitty another try. I watched it on a plane and didn’t like it. But maybe I should give it another try. It was cool that he went to greenland though! I’d love to go to Greenland; I have a friend who went for ridiculously cheap from Iqaluit and she loved it (despite going in the depth of winter!). That’s a great point Emily, it’s so close to Canada it’s crazy! It was just a couple hours of flying from Ottawa with a quick stop in Iqaluit for refuelling. That would be an extraordinary time to go in the middle of winter. Definitely a unique time to visit! Yike! That polar plunge looked insane..but oddly tempting! They should really give you the vodka shot before! Kidding aside, Greendland looks incredible. You really don’t hear that much about it, compared with the popularity of Antarctica. Thanks for sharing about your trip! Haha! Totally, we should get the shot for courage beforehand! I’m really glad we did it though, it’s a badge of honor type thing. It’s very true, The Arctic is overshadowed by Antarctica, but it’s extraordinary.